The press has dishonestly smeared President Donald Trump since he described criminal illegal immigrants who are members of MS-13 and other gangs as "animals" at Wednesday's White House California Sanctuary State Roundtable. But on Thursday, the Associated Press deleted and replaced a tweet which falsely claimed that Trump's remark referred to all illegal immigrants. 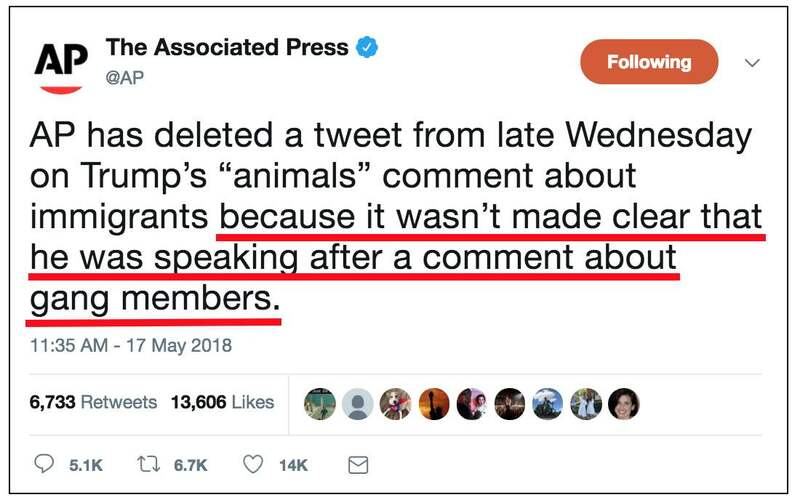 Even though both the deletion and replacement tweets are laden with predictable excuse-making and weasel words, AP's deletion effectively burns everyone else in the press and on the left who has been or still is making this false claim. 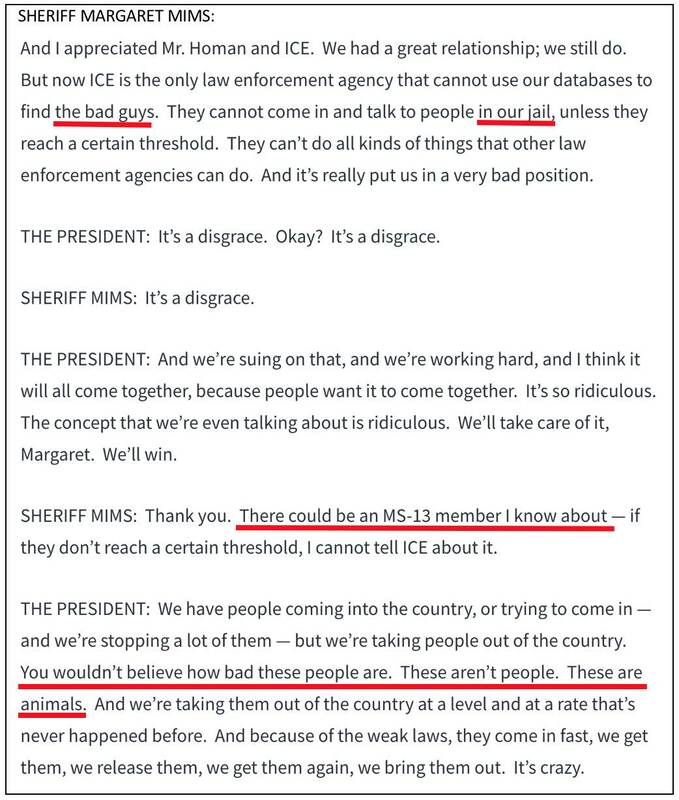 The focus of Trump's meeting with California sheriffs was their frustration in dealing with illegal immigrants in sanctuary cities and counties who have committed serious crimes (beyond entering the U.S., which is itself a crime). Some form of the word "criminal" or crime was mentioned 28 times, while MS-13, "gangs" and "gang members" each got several mentions. It's obvious that Trump was only referring to those who have committed serious crimes among those who are in this country illegally, and not to illegal immigrants in general. 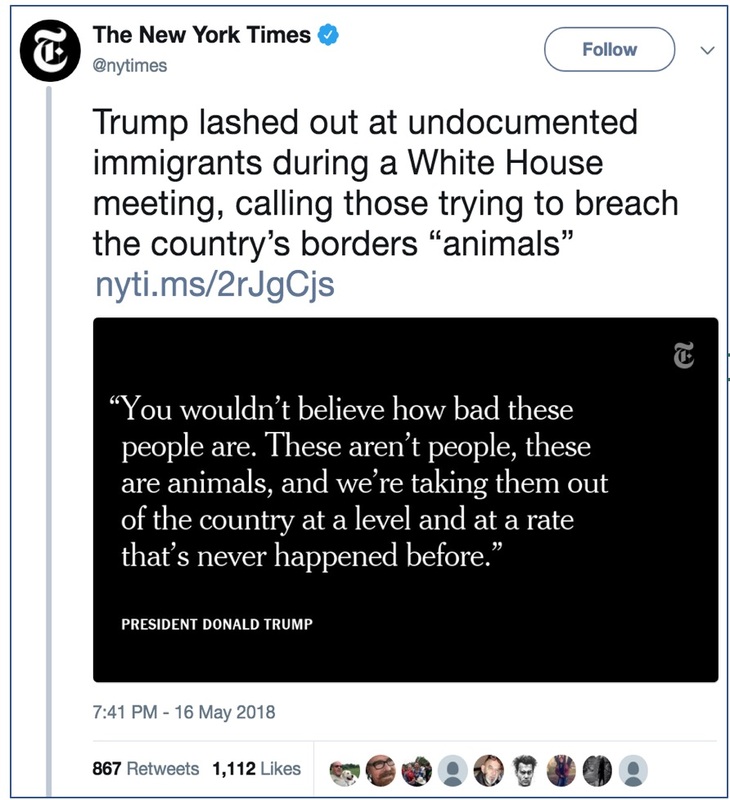 The deletion-announcing tweet still implies that Trump's comment referred to "all" immigrants, and pretends that he wasn't clear in his "animals" reference. Anyone reading the transcript will recognize that excuse as horse manure. The replacement tweet still refuses to acknowledge that Trump was referring to hardened criminals in MS-13 and other gangs. 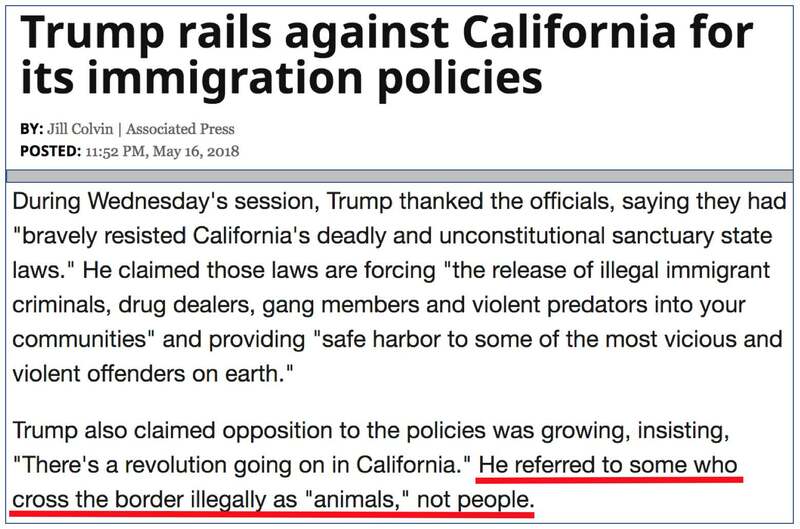 Despite those shortcomings, the two AP tweets wreck the contention that Trump was referring to all illegal immigrants (or all immigrants, period). Anyone who bitterly clings to that false claim won't be able to explain why the nation's gatekeeping news service backed away from it. The Times tweet was still present at 10 a.m. ET Friday, telling the world all it needs to know about the sincerity of the paper's stated interest in accuracy and integrity. 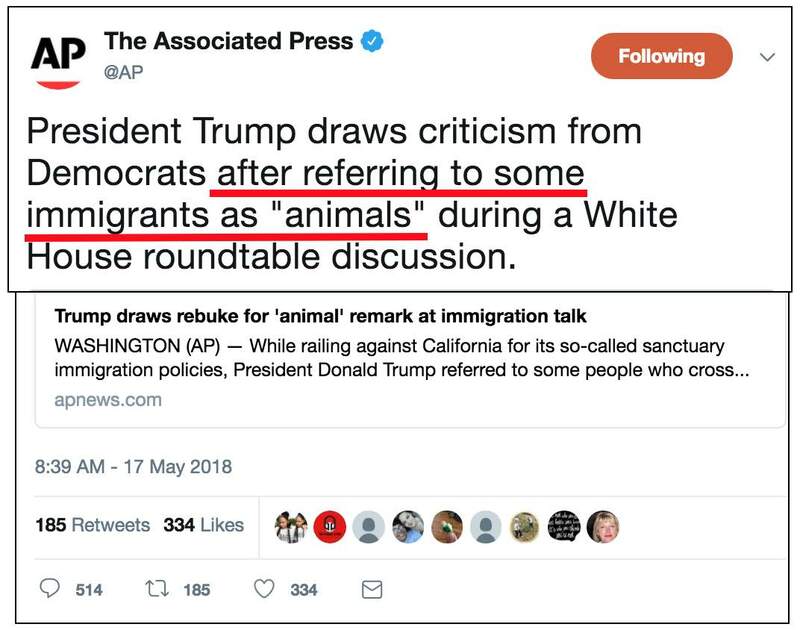 Though it appears to be no longer present at APNews.com — no related May 16 story was found in a site search on "Trump animals" (without quotes) — the AP's deceptively vague Wednesday story was still present at many subscribing outlets at 10 a.m. ET Friday. The wire service posted its deletion tweet almost 18 hours after the original appeared, many hours after it had become obvious that the smear was false.